ETERNA LAW is a full-cycle European law firm possessing strong expertise in the CIS region. Founded in 2002 in the Ukrainian capital, the firm grew rapidly and currently employs around 100 professionals in five active offices (Kyiv, Moscow, Almaty, Riga, Dusseldorf). We are continually named among market leaders for quality, responsiveness and reliability of service as well as for the depth of our expertise. ETERNA LAW has extensive history and experience within the CIS region. We understand these diverse markets, which demand international experience from a law firm in unison with knowledge of local business realities and the legal environment. It is for this reason that we consistently act in some of the most high-profile matters in the CIS for a broad range of clients, such as international financial institutions and corporations across various industry sectors, Government entities, non-governmental organizations, etc. We are an exclusive member of three lawyers association — PLG International Lawyers, Libralex, AIEL which gives us the possibility to cover more than 40 jurisdictions for the needs of our clients. Over the past few years, Ukraine has taken a number of significant steps to implement highly-anticipated judicial reform and restore trust in its judiciary. In late 2017 marked yet another milestone in judicial reform. On 3 October, 2017 the Verkhovna Rada (Parliament) adopted Law of Ukraine No. 2147-VIII On Introducing Amendments to Commercial Procedure Code of Ukraine, Civil Procedure Code of Ukraine, Code of Administrative Justice of Ukraine and Other Legislative Acts (the Law). This Law is a unique and ambitious 780-page long document, which purported to be an all-in-one solution — which restated three procedural codes (Civil Procedure Code, Commercial Procedure Code, Code of Administrative Justice) and, at the same time, amended over 25 other laws (including, among others, the Law On International Commercial Arbitration). The new codes came into force on 15 December, 2017, the same day that the newly-formed Supreme Court of Ukraine, began its work. The new procedural codes dealt with and introduced over 50 novelties. For instance, unification of the rules for the three types of proceedings, expedited proceedings, greater assistance by Ukrainian courts to the international commercial arbitration, introduction of an e-court system (which allows exchange/submission of documents between parties and the courts, and videoconferencing). 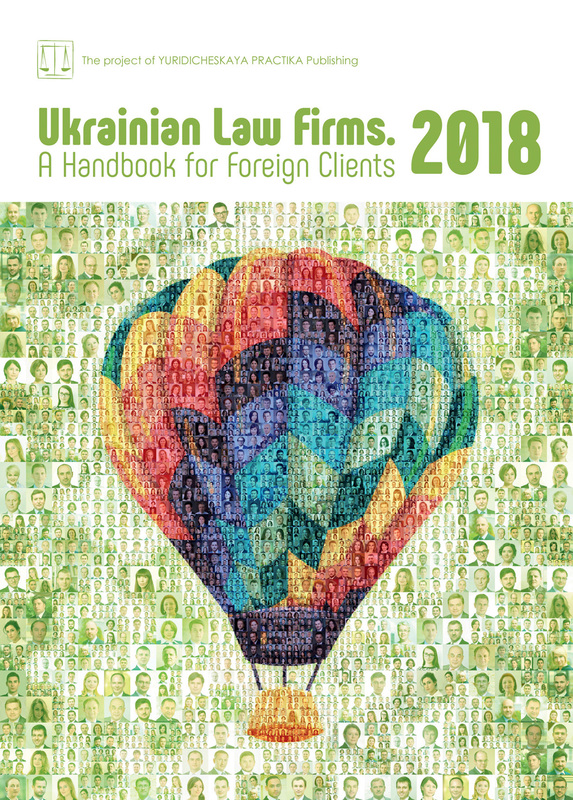 Furthermore, the Law introduced a number of amendments to the Civil Procedure Code, which will undisputedly improve the procedure and effectiveness of recognition and enforcement of foreign arbitral awards in Ukraine. Ukrainian courts have been constantly criticised for procedural inefficiency and multi-tier review. Ukrainian debtors made use of this inefficiency and rather frequently resorted to various guerrilla tactics (i.e. requesting numerous adjournments, filing of multiple appeals, motions for challenging court’s rulings, to name a few). Such recognition and enforcement proceedings in Ukraine could last for years and, in some cases, take even longer than arbitration proceedings themselves. The new Civil Procedure Code dealt with these issues (in most part) by establishing a separate procedure tailored towards the recognition and enforcement of foreign arbitral awards. Earlier, arbitral awards were recognised and executed based on combined procedure for both arbitral awards and foreign court judgements. Firstly, exclusive competence over matters related to recognition and enforcement of arbitral awards as well as setting aside of awards in Ukraine has been vested with the Kyiv Court of Appeal. The Supreme Court of Ukraine will now serve as an appeal instance. Such 2-tier approach would, on the one hand, ensure that matters are considered by competent judges who will apply and, perhaps, unify court practice in matters related to arbitration; and on the other — would simplify and speed up recognition and enforcement proceedings. It should be noted that this approach has been working for years in many arbitration-friendly jurisdictions like Switzerland, Germany, Sweden, the Netherlands, France, and proved to be an effective one. Secondly, the timeframe for recognition and enforcement of arbitral awards has been shortened significantly and now is limited for up to 2 months from the date of filing of the respective application with the court. Moreover, setting aside proceedings are limited to one month from the date of filing of the setting aside application. By contrast, the Civil Procedure Code had previously failed to clearly define such terms and so left room for delays. With regard to setting aside proceedings, one of the hurdles previously experienced by the parties were parallel proceedings — in relation to recognition and enforcement of award, and a separate set of proceedings for setting aside the same arbitral award. The latter usually was initiated by a dishonest debtor to drag out the recognition and enforcement proceedings. Unfortunately, the courts were unable to consolidate these two sets of proceedings (since the previous Civil Procedure Code did not empower the courts to do so). As such, the courts usually suspended recognition and enforcement proceedings until the issue of setting aside of the award was considered by the relevant courts. Luckily, the new Civil Procedure Code introduced and provided for consolidation of recognition and enforcement and the setting aside of proceedings into one upon an application by a party. Indeed, this provision, in conjunction with the limited timeframe for the proceedings, will bring procedural efficiency to a new level. The new Civil Procedure Code also introduced a mechanism for voluntary compliance with arbitral awards. Previously, even if a debtor was willing to comply with the arbitral award and pay the award to a non-resident creditor, in practice it was impossible since the debtor’s bank could not process the payment without the respective writ of execution. Hence, in order to obtain such a writ, the debtor had to file a motion and go through lengthy recognition and enforcement proceedings. Now, in case of voluntary enforcement, a debtor can file the respective application with the court, which will be considered within 10 days on an ex parte basis. As a result of this accelerated and simplified procedure, a debtor can obtain a writ of execution in a timely manner and make payment to the non-resident creditor in foreign currency without any obstacles. In addition, the long-standing issue of parties’ failure to appear at court hearings has been partially solved by the new Civil Procedure Code. The new code now stipulates that failure by one of the parties to be present at the court hearing will not prevent the court from considering the application for recognition and enforcement of arbitral award (provided the parties have been duly notified of the date, time and place of the hearing). Furthermore, other noticeable improvements of the Civil Procedure Code concerned dealing with the currency of an award and interest/penalties stipulated in the award. Previously, when seeking recognition and enforcement of foreign arbitral award in Ukraine, one had to convert the amount of claim into Ukrainian hryvnia (UAH) irrespective of whether the award itself was ordered in foreign currency. It was on this basis that the courts rendered their rulings in UAH. Taking into account significant depreciation of the hryvnia in the last few years, the benefit of recovery in UAH when converted back into the foreign currency of the award is rather illusionary. Now, as per the new Civil Procedure Code, as a general rule, the courts will stipulate in the ruling on recognition and enforcement of the award in the same currency as the award itself. And only upon a relevant application by the creditor the court can order the sum in UAH. However, one cannot argue that foreign creditors and businesses would prefer to enjoy the fruits of the award and receive actual recovery in the currency of the award. As to interest and penalties in arbitral awards, it is not uncommon for arbitral tribunals to award post-award interest until full payment of the award, or order the unsuccessful party to pay penalties. However, Ukrainian case law has not established a unified approach to these issues. Some Ukrainian courts recognised and enforced awards in full, including interest (see for instance Cases No. 2018/18029/2012, No. 759/16206/14-ц), others — recognised awards in part (see for instance Cases No. 1622/9934/112, No. 760/11888/16-ц). It is noticeable that in the latter cases the courts reasoned that recognising the awards in full (including post-award interest and/or penalty) would be contrary to public policy, since it may be treated as review of an award on merits. The new Civil Procedure Code finally dealt with these issues and now provides that in the event that an arbitral award ordered interest/penalties the court will, in its ruling on recognition and enforcement of the award, indicate that such interest and/or penalties will be accrued until full payment of the award is made. Whereas the final calculation of the awarded interest/penalties will be determined by an enforcement officer in the course of enforcement proceedings. Although this provision will come into effect on 1 January, 2019, it is no less important since it reduces financial risk for foreign businesses who seek recognition and enforcement of an award in Ukraine. Overall, the Civil Procedure Code has revised and improved rules for recognition and enforcement proceedings of arbitral awards in Ukraine, making the procedure both more time and cost efficient as well as arbitration-friendly. In the long term this will be appreciated by foreign investors and businesses who, despite their preference for arbitrate disputes, seek at the end of the day to enforce arbitral awards in Ukraine.